I'm looking at buying at Ford 4000 w/ a very heavy duty loader. Loader works great, pins tight, etc. Tractor doesn't have power steering and takes two men and a boy to turn it. Engine smokes and rear hydraulics are inop, but PTO works. Gauges inop. Transmission seems to be fine. I can buy it for $1500, but can power steering be added cheaply? Is this engine about to blow? (sounds ok, just smoky) I get a tiny bit of lift on rear 3ph. Hard to fix? Loader is run by a front pump. Sounds to me like a big P.O.S. You will probably end up spending over $3000 to get it up to par. Oneace is right and I am a Ford man. What uses are you going to have for a tractor and/or loader? There may be other alternatives. A tractor that you might consider is a Massey Ferguson 231S. It is basically a no frills tractor with 8 forward and 2 rear manual gears, power steering, a 42HP Perkins Diesel that uses about a gallon of fuel per hour. This is a real tractor not a compact. I just picked up a 2002 with 100 hours for $8000 here in Ohio. 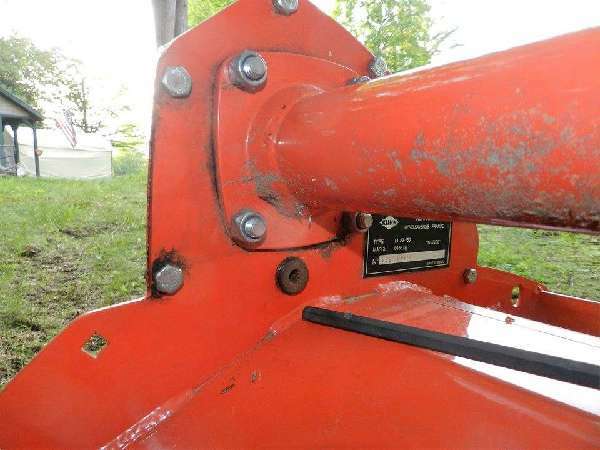 A loader would probably add $2000-$2500 to a used tractor. You could go to WWW.Google.com and type in Massey Ferguson 231S and see what turns up. I would suggest a new reliable tractor. And one that is going to hold its value. New Holland has 0% financing for 48 months right now. Kubota has a good rate as well. I know it is hard to justify spending more for a tractor than most cars but you tractor will last a life time if you buy the right one. And to have the piece of mind that it is not going to nickel and dime you to your grave. What happened to your JD 950? I've had a 2000 and 3000 and always wanted a 4000! My observations: Very reliable 3-cly, sips fuel, easy to service. PS can be added for around $350-$450 but is a little strage to use since you've got to turn the wheel 1/4 turn before it activates. The 3PH is cheap to fix compared to other brands as parts are available and a wealth of info is readily available for troubleshooting. A real workhorse of a machine. Full of real steel = heavy! If you like to tinker with your machines then the price is right. It will take some effort but the end result will provide many more years of service. Still going back and forth on this tractor. I've looked on line at power steering kits, but I'm wondering it I'd need a pump since I'd have the hydraulic pump on the front for the loader. Could this be tapped into? Power Steering on my tractors were run from a fan-belt driven pump on the left side. A small tank held fluid above the exhaust manafold. Everything in the aftermarket kit was neatly piped to the pump and tank. I have also seen units that used the same pump for FEL and PS. Now that must be an exciting experience lifting a full bucket and turning at the same time! For a 30+ year old designed tractor it was still better than all manual. Where is the pump now for the FEL? Is it belt driven or from the front of the crankshaft?